•Warner Park Community Recreation Center – 1625 Northport Dr. The Warner Family Fun Nights are in partnership with Madison School Community Recreation and are sponsored by Webcrafters Inc.-Frautschi Foundation and the Madison Mallards. 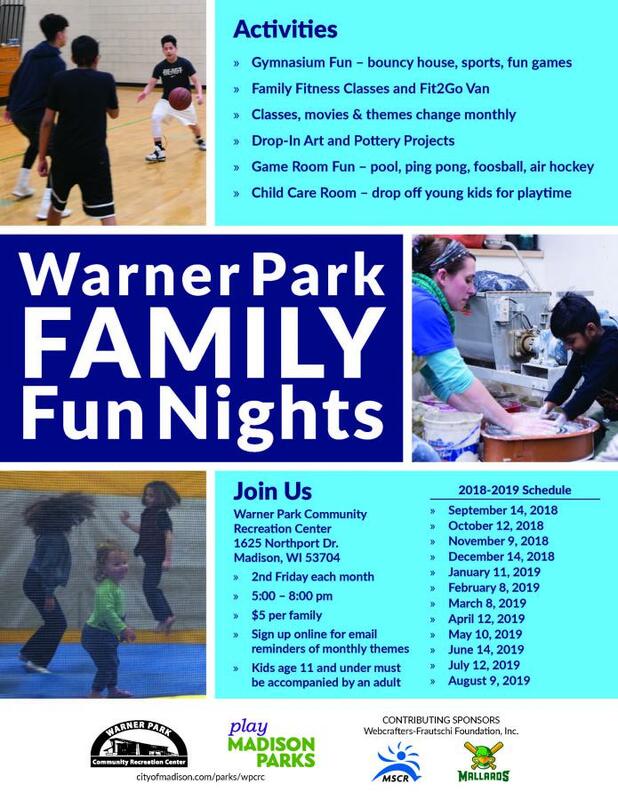 If your company or organization would like to sponsor one of the Warner Family Fun Nights or the whole series, please call (608) 245-3691.